This post is sponsored by Bruegger’s Bagels, but all content is 100% my own. There’s no doubt that everybody is extremely busy this time of year! Between all the parties, school events, and holiday traditions, my family doesn’t get a moment of rest. There isn’t even any time left over to host our own Christmas party. We have to get creative if we want to see our loved ones, so we choose to host a simple holiday brunch for a few of our favorite people! It’s not a fancy brunch with an elaborate spread that’s designed to impress. Instead, our holiday brunch is intimate and cozy. 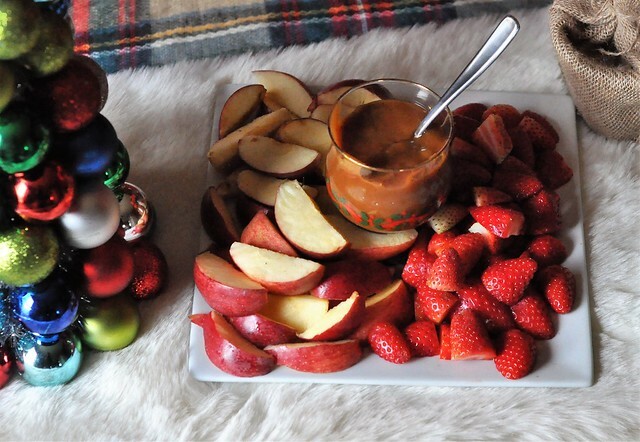 Simple food that everybody loves, an abundance of hot drinks, and good company! It’s a fun way for a small group of loved ones to gather before the whirlwind of the holiday season completely takes over! Although I wish I could channel my inner Martha Stewart, I don’t have time to prepare for a big event. I always have a kid (or 4) in tow while I shop, and they run circles around me at home. Simple is best, because it allows me to enjoy the time spent with our company, rather than worrying about preparing a ton of food and cleaning up a mountain of dishes. I’m a big fan of hosting parties with minimal stress, especially during the holiday season! Is there really anything more simple than having your event catered? 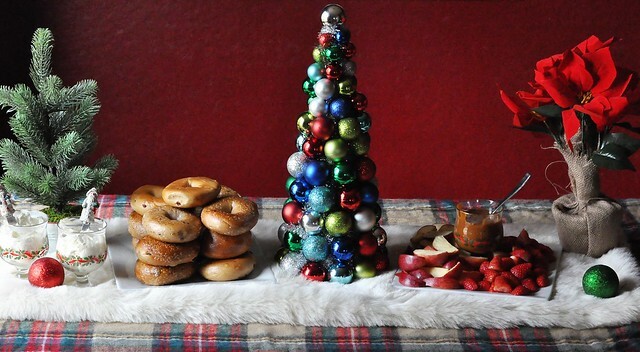 Almost everybody we know loves bagels, so I knew they would be a great option for our holiday brunch! 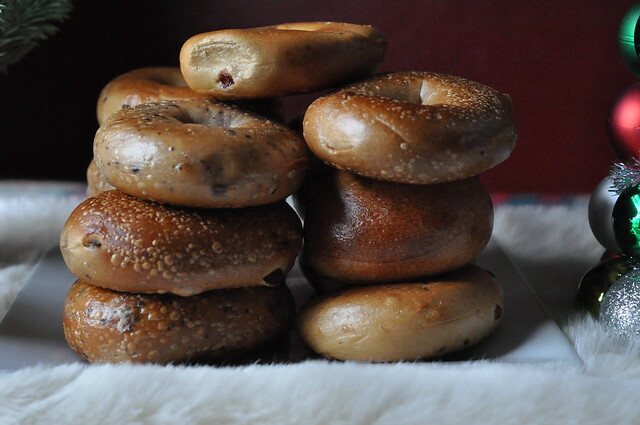 Did you know that Bruegger’s Bagels has an extensive catering menu? 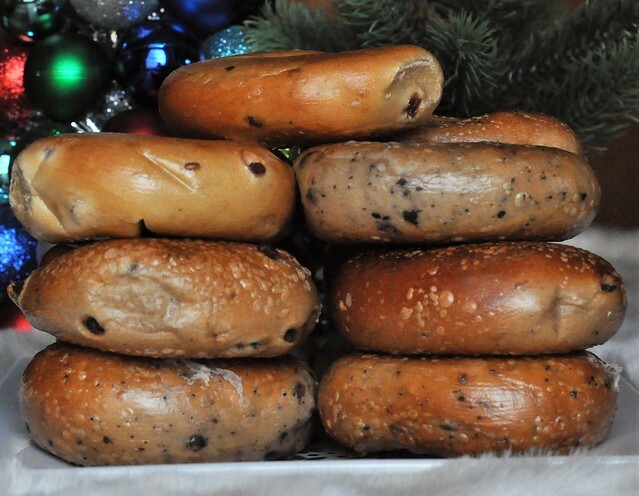 Right now they also have delicious Cranberry Orange bagels, which make the perfect holiday treat! There is a local Bruegger’s Bagels next to my husband’s office, so I place my order online, then have him pick up my order on his way home from work. It really is that simple, and the service is exceptional! My husband even uses the catering menu option for work events! 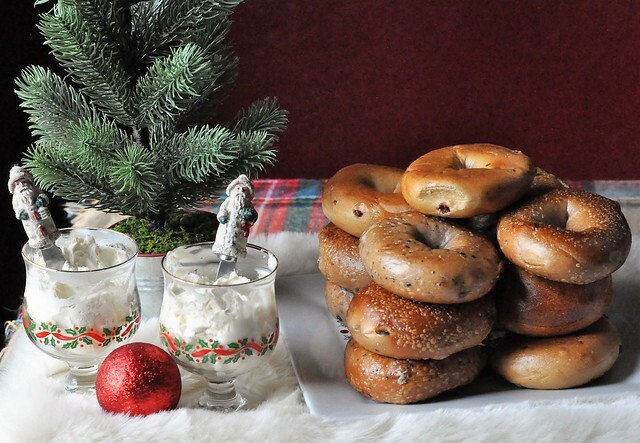 For our holiday brunch, I opted for the Small Bagel and Cream Cheese Box, which serves 12. You get a baker’s dozen of sweet and savory bagels, along with a tub of plain cream cheese and a tub of honey walnut cream cheese. There truly is a bagel to please everybody! Since it’s a brunch, there’s no need to have a ton of food. Most likely, the guests have already eaten something, and they just consider it a light meal. In previous years, I served way too much food, so I learned from my mistake! When I think brunch, I think of drinks. 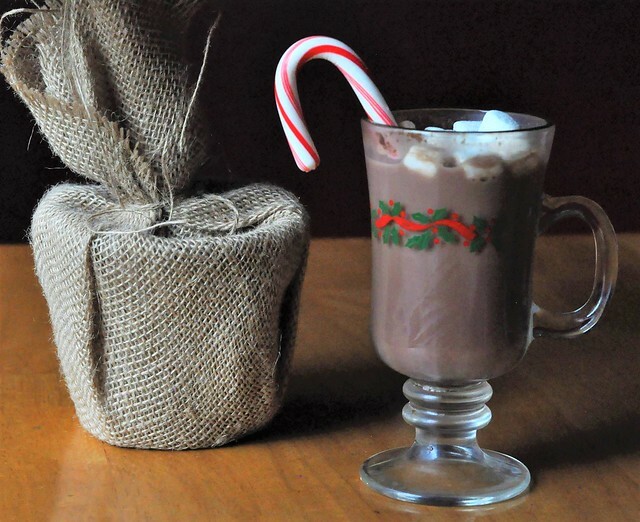 Specifically, hot drinks that are loaded with caffeine! (Just me?) Sipping hot drinks with loved ones contributes to a relaxing, cozy atmosphere which is exactly what I was aiming for! Because we have guests over almost every weekend, we keep our coffee/hot tea/hot cocoa bar fully stocked at all times. And for those guests who don’t like hot drinks, there are plenty of cold drink options available! I prefer to use fancy dishes for the table spread, and fancy plates for the adults, but there are definitely ways to minimize the cleanup process! Try to stick with finger foods so there won't be a bunch of utensils to wash.
Clean up the dishes as you prepare the food for the brunch. 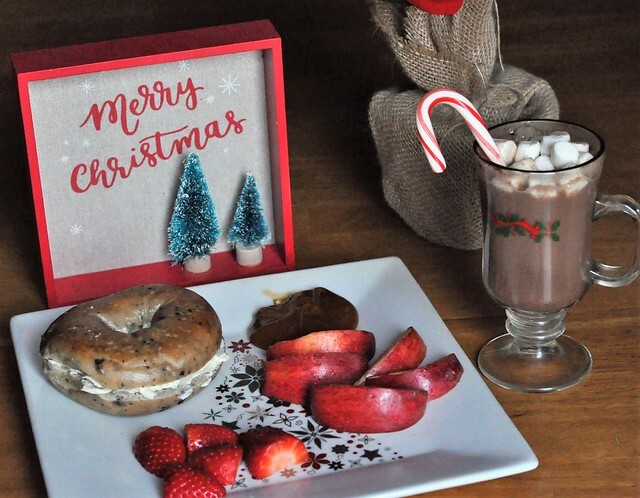 If there are children attending the brunch, purchase festive disposable plates and cups for them. Including YOU! This is not the time to put all your energy into hosting a holiday brunch that would make event planners swoon. The holiday season is busy enough. 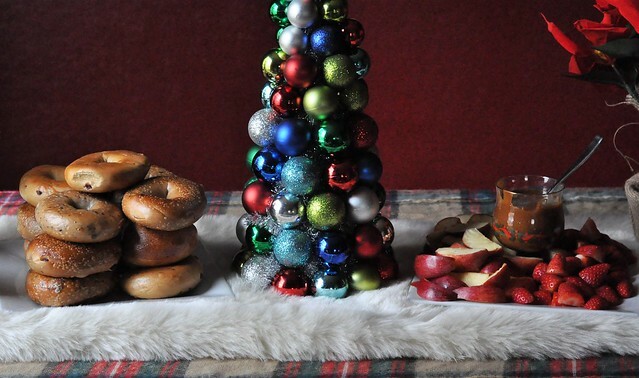 Put your energy into hosting a holiday brunch that is cozy, relaxing, and enjoyable for everyone involved. The point of hosting a cozy holiday brunch is to spend quality time with those you love, not to impress anybody with your party-hosting skills! Focus on one important thing: your guests are there to spend time with you. THAT’S what they will remember! 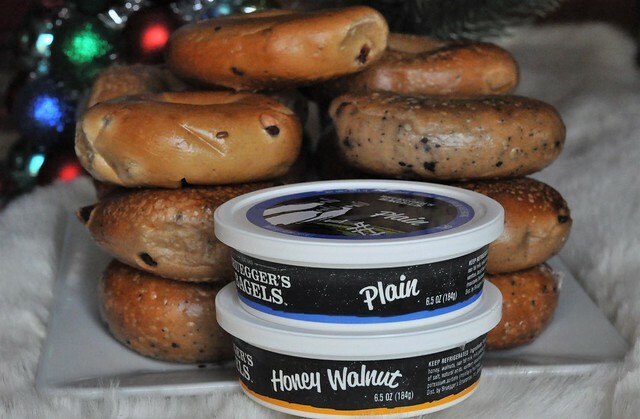 If you have a holiday brunch or holiday party coming up, consider Bruegger’s Bagels for your catering needs! (Find your local Bruegger’s Bagels store.) The seasonal Cranberry Orange Bagels are available for a limited time so grab them while you can! What are your favorite tips for hosting a brunch? These are fabulous tips for hosting made easy! I always over do it and then I regret all the work from start to finish. Thanks for sharing. These are some great tips! 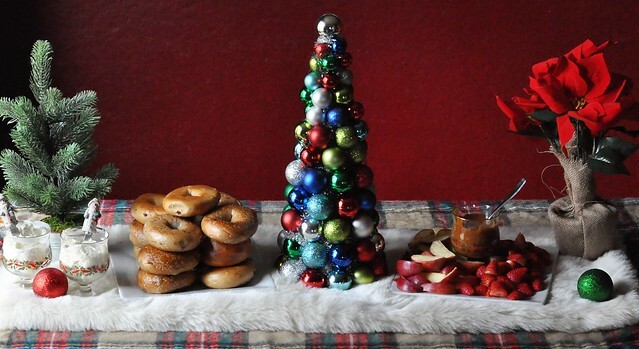 And those bagels look so yummy! 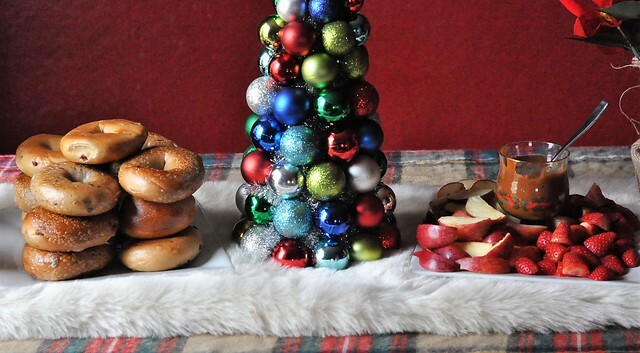 Yum, now I want a bagel! !